Has your boiler run out of steam? Call Peninsula. We do boiler replacement throughout the Delaware/Maryland region. We can replace your natural gas, propane, oil, or electric boiler. If the boiler is less than 25 years old, it’s best to get it thoroughly inspected first; it may just need service or a comprehensive cleaning to get it running right again. If you have a boiler older than 25 years, it’s more likely to be on its way out, and replacing it may make the most sense. An older, less efficient boiler may be costing you more money to operate. A newer, more energy-efficient model will typically save you money in the long run, if you are willing to make the investment. The qualified service techs at Peninsula are happy to help you decide which option is best for you. Call us at 302-629-3001302-629-3001 to get started! Natural gas is a popular boiler fuel, due to its availability and low cost. As a matter of fact, many homeowners are opting to convert their oil boilers to gas. Give us a call at 302-629-3001302-629-3001 to find out if oil-to-gas conversion is right for you. Propane boilers operate nearly identically to natural gas boilers. Propane is a good choice for homes located far from natural gas utilities because it is easy to transport. Peninsula offers a propane delivery service in the Delaware and Maryland area. Oil-fired boilers send oil through a combustion chamber that then feeds into the burner, which heats the water. Oil boilers are not widely used outside of the northeastern United States. Newer oil boilers are more efficient than their older counterparts, and there are several advantages to using oil heat. Electricity, of course, fuels the heating element in an electric boiler. Electric boilers are often chosen for their reliability, easy maintenance, and smaller footprint—i.e. their relatively compact size. Have you considered converting your oil heating system to a gas system? It might make sense for your home and your family’s needs. Learn how Peninsula can facilitate your switch from oil to gas. 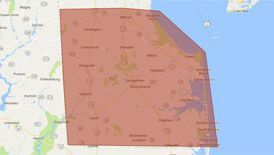 Give us a call at 302-629-3001302-629-3001 to find out if oil-to-gas conversion in Delaware is right for you. How Long Will My New Boiler Last? A properly maintained and serviced new boiler should last upwards of 25 years. The key to optimizing your boiler’s lifecycle is maintenance. Regular do-it-yourself and professional maintenance will keep your boiler in good form and alert you to any repairs that need to be done BEFORE they become bigger problems. 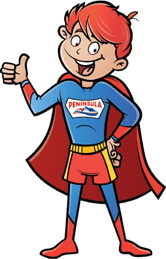 Why Choose Peninsula for Delaware and Maryland Boiler Replacement? In our more than 75 years in the HVAC business, we’ve replaced a lot of boilers! We know what works, what doesn’t, and what keeps our Delmarva customers warm and comfortable. You can count on us for prompt, reliable service, whether we are installing, servicing, or repairing your boiler—or taking care of any other HVAC or plumbing issue in your home. Our service technicians are knowledgeable, friendly, and professional, and our work is guaranteed. Contact us today to schedule service or get a free estimate! At Peninsula, we only use products that have proven to be reliable, durable, and high-performing. We install boilers from Empire, Energy Kinetics, Thermo Pride, and Miller. If you need boiler replacement in Delaware or Maryland, contact Peninsula today.